R.I.P. 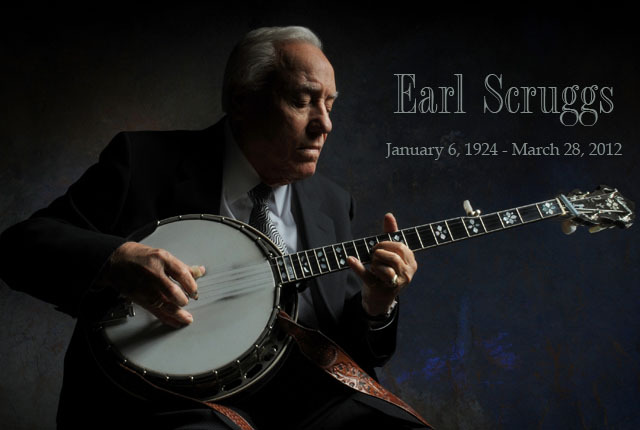 Earl Scruggs. As one poster said it best on YouTube, "Look up Bluegrass in the dictionary, and you oughta find Lester,﻿ Earl and this song." As a kid who grew up in the 60's & 70's, my first exposure to the Flatt & Scruggs was via television on The Beverly Hillbillies. Not only did they write the theme music for the show, they appeared in several episodes. But they were so much more than real life characters on The Beverly Hillbillies. A website, The Flatt and Scruggs Preservation Society, is devoted to the legacy of both Lester Flatt and Earl Scruggs.